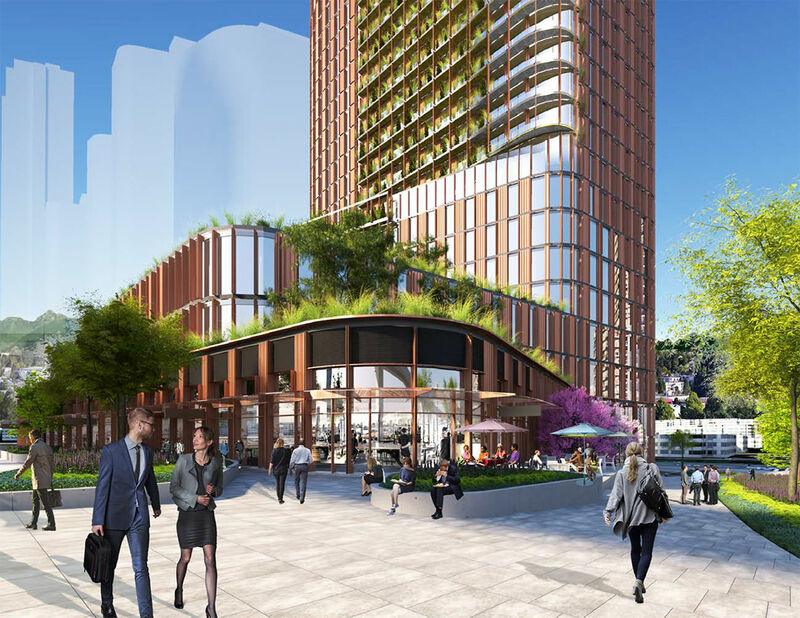 Blackwood Partners has submitted a development application for the much anticipated Central City 2 office tower – proposed for the corner of King George Blvd and Old Yale Road on the site of a former Best Buy. 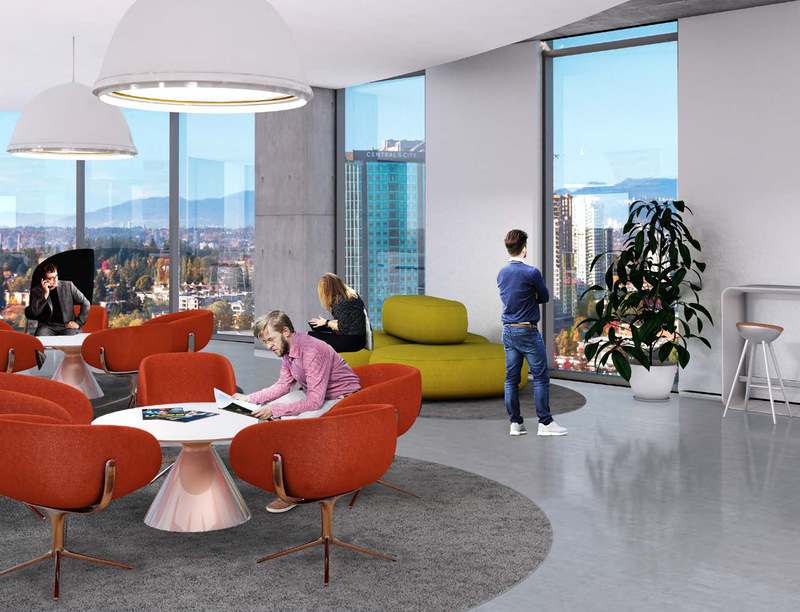 The 25-storey tower designed by ZGF Architects is to be built to Class AAA and LEED Platinum standards and contain over 500,000 SF of office space, and 20,000 SF of ground level retail. 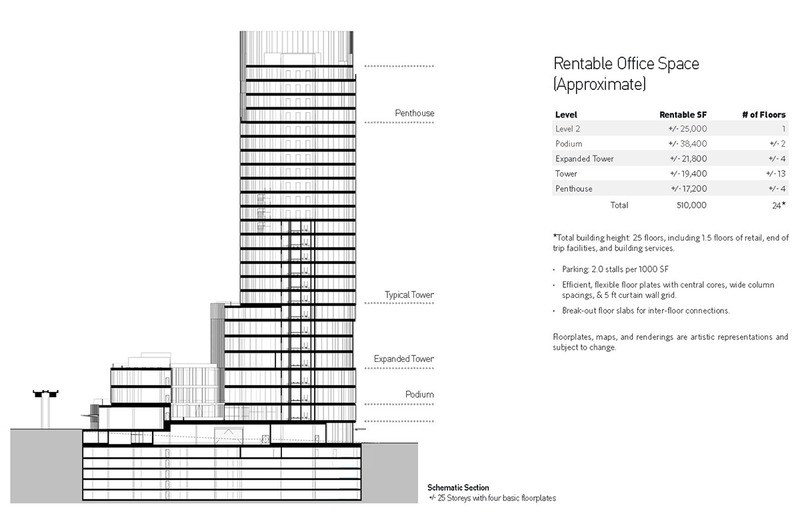 The proposed design of the tower has undergone considerable revision since first announced back in November 2017. The tower now features copper / reddish toned shading fins on its exterior, and a refined, more cohesive massing and podium. 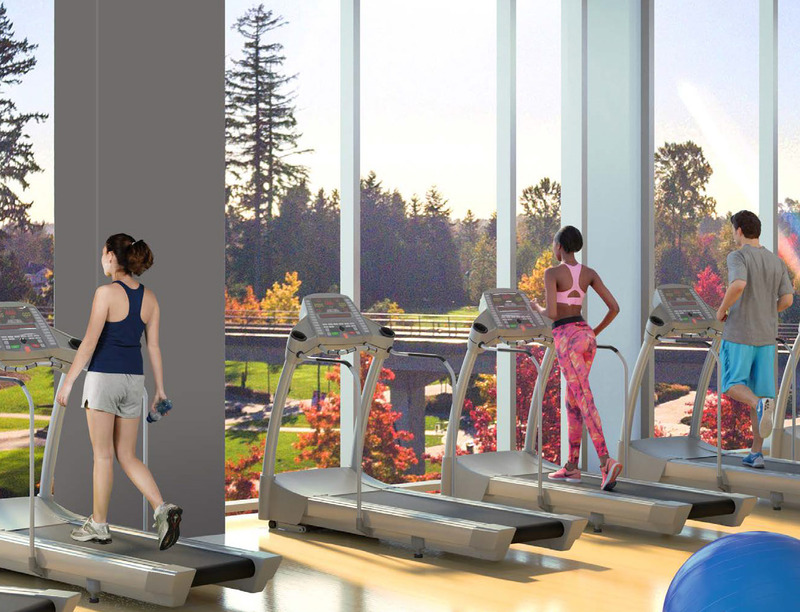 The tower also features expansive green roof decks, premium fitness facilities for office tenants, bike lockers, electric vehicle charging, high-speed elevators, and a ground level urban plaza, anchored by a restaurant, café, and retail. Following the completion of the original Central City office tower and SFU campus back in 2003, Central City 2 will form the next phase of a long-term vision to redevelop the remainder of the Central City Shopping Centre site. 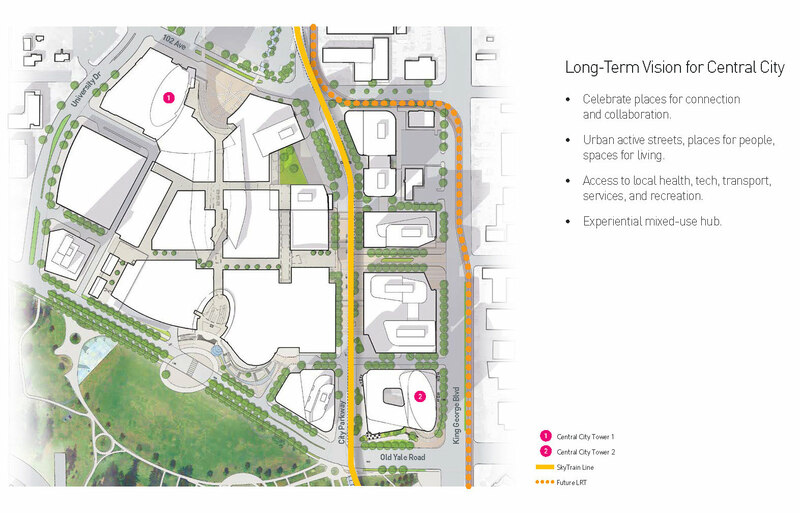 While just conceptual at this point, the long-term plan would see the remaining parking lots to the north redeveloped with mixed-use development and new streets. 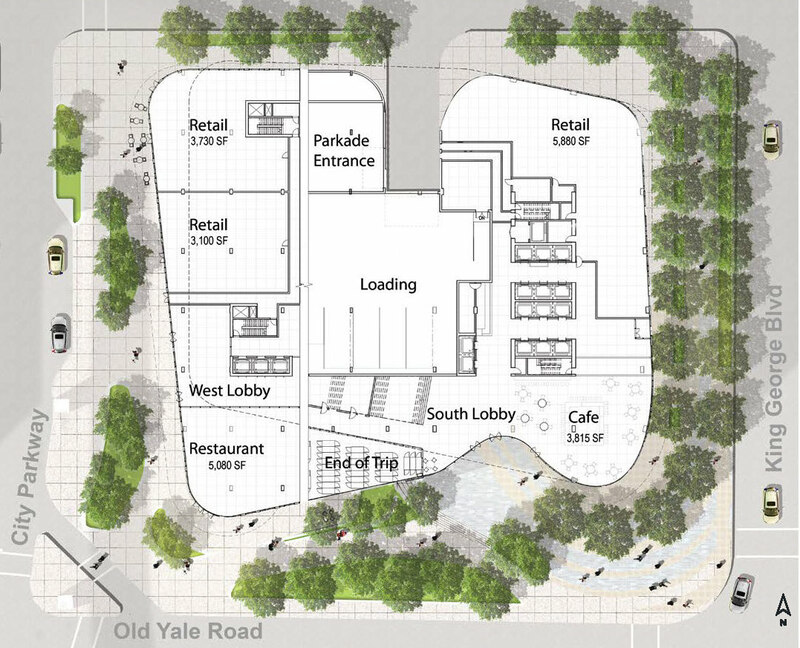 The mall itself is envisioned to be reconfigured to include a number of new tower sites, and a large new plaza entrance fronting Holland Park on Old Yale Road – mirroring the existing Central City Plaza to the north and creating a connection through the mall linking the city’s civic core to Holland Park. Along with the recently submitted development application, Blackwood Partners has also now begun marketing the tower for lease, and will be opening a presentation centre in the Central City Shopping Centre in early 2019. The current leasing brochure can be found here. 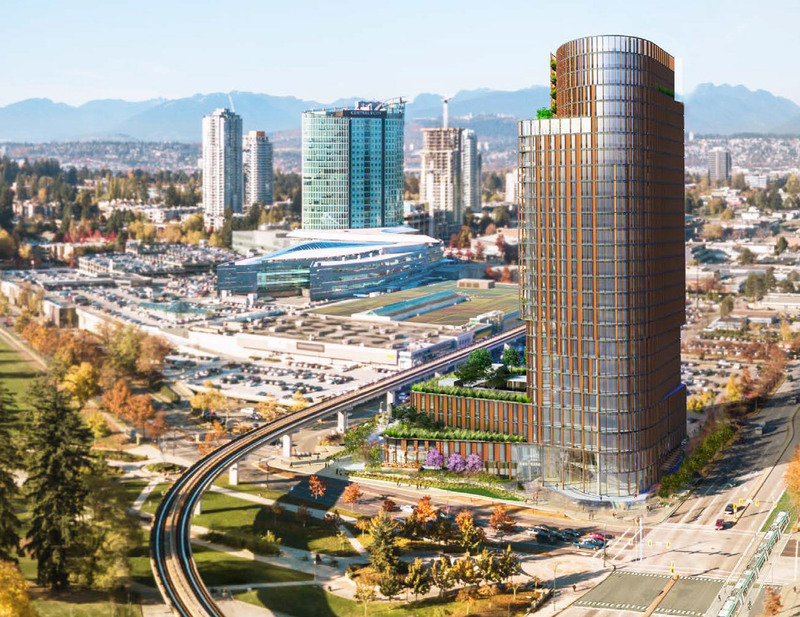 Posted on December 14, 2018 December 14, 2018 by UrbanSurreyPosted in Development, RenderingsTagged Blackwood Partners, Central City, Central City 2.